A Christmas market and an ice rink are indispensable elements in decorating any town for the winter time. 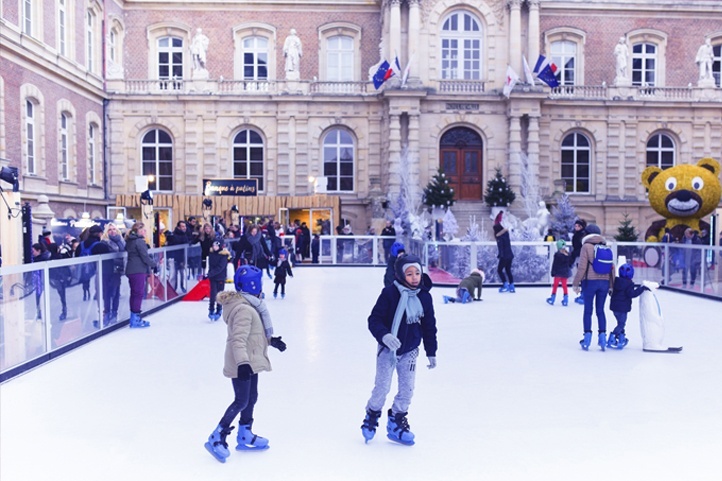 We always think in necessity for our clients and so our rinks are ready on time, right now, during the christmas period and any events after that. On the other hand, it’s possible to add our synthetic ice rinks to ski resorts, a temporary option which all winter sports fans adore. Regarding installation and set-up, our ecological ice rinks have a quick and easy process of installation, in comparison to the conventional ice rinks. Furthermore, you can take advantage of maintenance, quite simple, considering that it only requires using the mop once a day and the cleaning machine which we provide, each 7-10 days. In this way, all citizens of your city or the clients of your business will be delighted to enjoy the skating on ice during the Christmas period. In recent years, hundred of councils and shopping centres have trusted on us, Xtraice. Why would you let this perfect opportunity get away?